Lots of people are confused by the idea of perimeter pest control. There are plenty of misconceptions out there about what it entails and what it will accomplish in the way of pest control. Sometimes, folks get their perimeter treated but don’t follow up with basic prevention steps, and they are disappointed when bugs still appear. 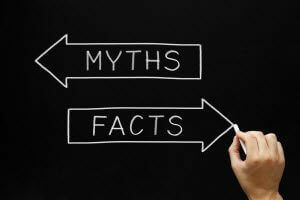 Myth #1: The homeowner has to be home when the perimeter pest control product is applied. While this is true when pest control products are applied inside the home, it isn’t true for perimeter pest control applications. Just as you don’t have to be home when your landscaping is performed, you won’t have to be home when your perimeter is treated for pests. This makes the service awfully easy to work into your schedule! Myth #2: Perimeter pest control will get rid of all the bugs on your property. If you already have a pest problem inside your home, it will need to be addressed on its own by a pest control professional. Treating the perimeter only prevents additional bugs from entering the property line. Myth #3: Once the perimeter is treated, you won’t have to take additional measures to maintain pest-free yard. In order to ensure a pest-free property, it’s still a great idea to eliminate standing water, stack wood away from the house, and keep your gutters clean. These simple tasks will go a long way to deter more pest problems from popping up later. Myth #4: Perimeter pest control will kill bugs that your family or pets bring in from the outside. Treating the perimeter actually only prevents bugs from crossing your property line. If you take your dogs out for a romp in the woods, they could easily bring ticks home with them in their fur. Even with perimeter pest control in place, it’s important to follow precautions to avoid bringing ticks, bed bugs, and other creepy crawlies home with you. Perimeter pest control should be considered one important element of a complete pest control plan. When applied effectively, perimeter products will prevent bugs from entering your property. This is a fantastic way to prevent damage to your grass, shrubs, and flowers by crawling insects. It will in turn reduce the need for insecticide applications directly to your landscaping. At the same time, it’s important to follow basic steps to avoid pest problems from starting or growing. For more than three decades, Kemko Lawn & Shrub has helped Atlanta’s homeowners achieve beautiful, bug-free lawns. We have fine-tuned our methods and use only the finest products available to produce complete customer satisfaction every time. Call 770-466-6113 to request a free estimate for perimeter pest control.